Fans of Angie Sage's internationally bestselling Septimus Heap series will be delighted with this wonderful full-color compilation of extras such as maps, guides, and journals! The private journals of Septimus, Jenna, and Marcia Overstrand. The best—and worst—places to eat as described in The Egg-on-Toast Restaurant Guide. 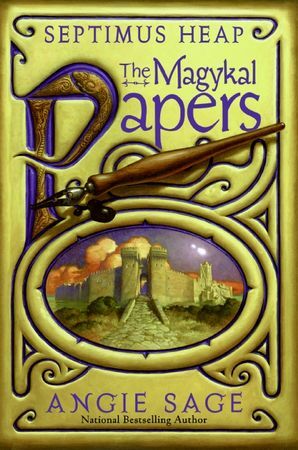 Sirius Weazal's Speedy Guides to the Palace, the Wizard Tower, and Wizard Way. Excerpts from the Pigeon Post Biography series and the Heaps of History series. Alther Mella's Guide to Being Dead: Ten Handy Rules for New Ghosts. Beautiful maps, quirky flyers, funny letters, and much more!